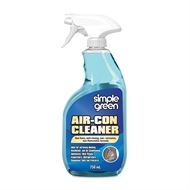 Simple Green Air-Con Cleaner is the professional strength formula that quickly penetrates to remove dirt, grease and grime that can cause clogs, impede heat transfer or otherwise keep equipment from optimum performance. 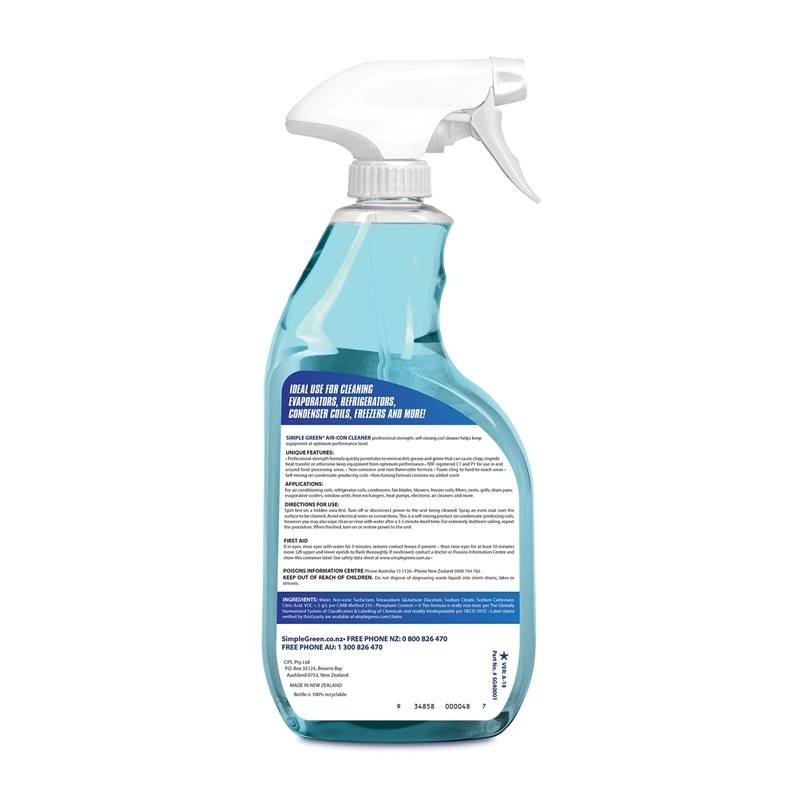 This non-fuming and unscented formula is safe for use in and around food processing areas. 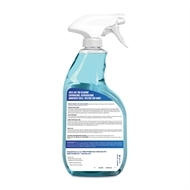 Its non-corrosive and non-flammable properties make it prefect for safely cleaning all surface types inside and outside a building. Using a sprayer will get you a foam that will cling to those hard to reach areas, and any condensate producing coils will allow for self-rinsing, making it an easy spray and go application. 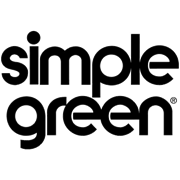 Ideal for use when servicing HVAC (heating, ventilation and air-conditioning) units, heat pumps, evaporators, refrigerators, condenser coils and freezers. Also use it on fan blades, blowers, vents, grills, drain pans, evaporative coolers, window units, and heat exchanges.